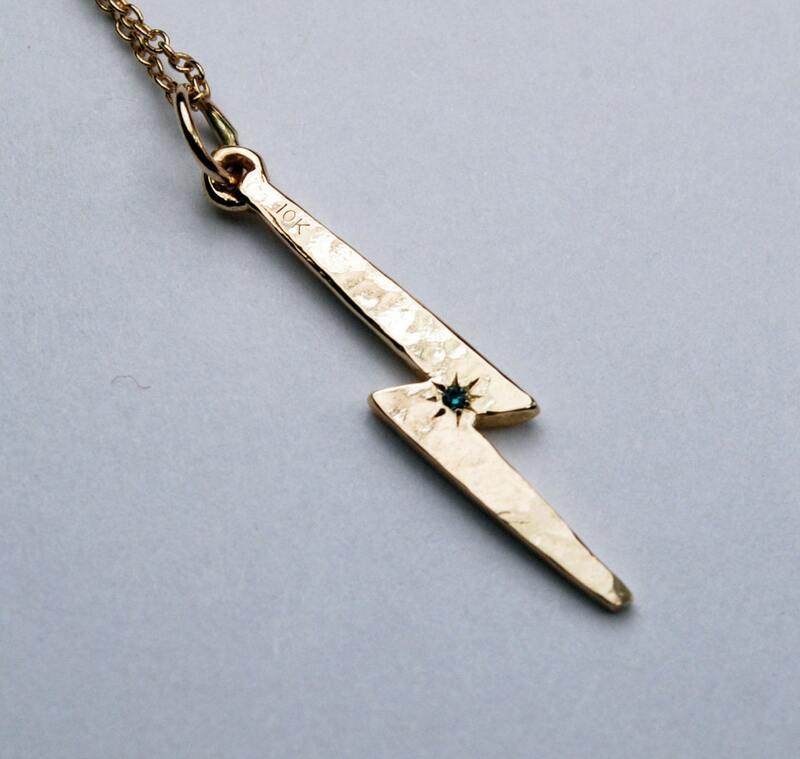 A single 10k yellow gold hammered lightning bolt set with a tiny white diamond on one side and a tiny blue diamond on the other side. 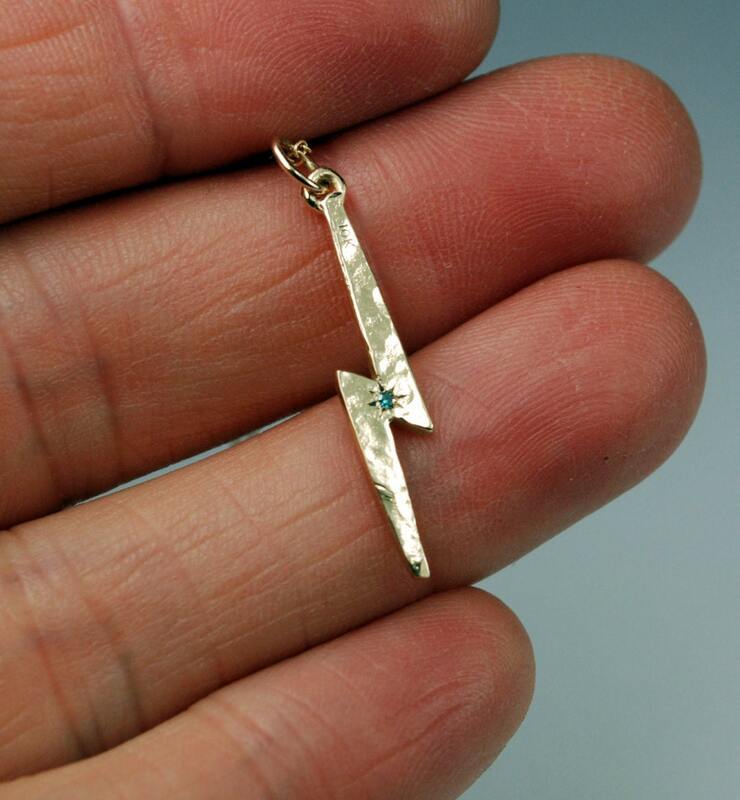 The lightning bolt measures approximately 25mm x5mm and the diamonds each measure approximately 1mm. Available either as a charm only on a 10k gold jump ring or hung on either a 16" (40.64 cm) or 18" (45.72) 10k yellow gold chain. 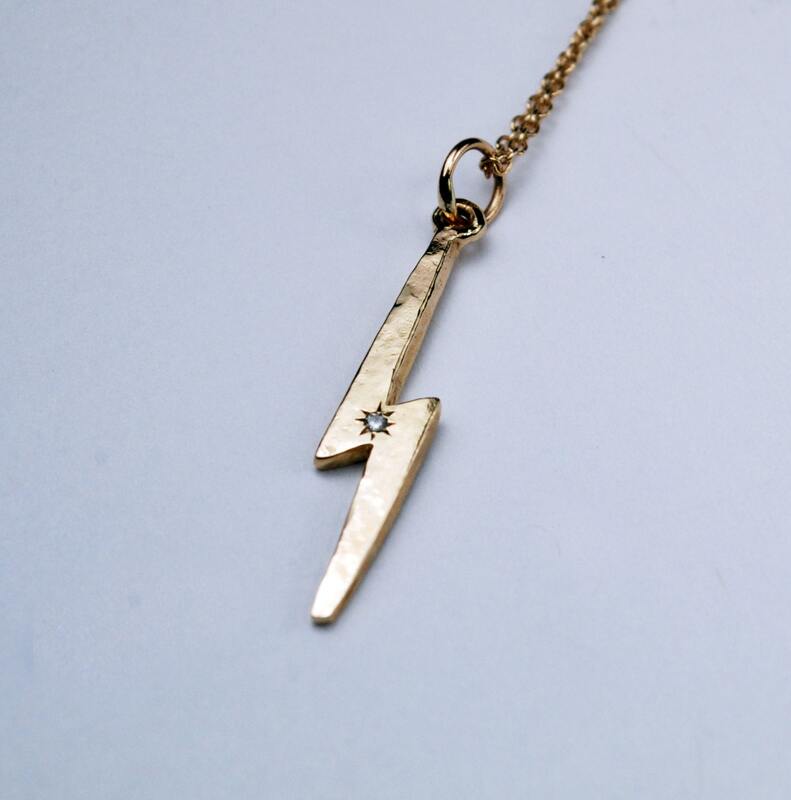 The Lightning Bolt symbolizes many things to people in different world cultures: honesty, fertility, strength, intellect, illumination..union of fire and water, power, swiftness, just to name a few...To me it symbolizes sudden divine inspiration, truth and energy. I love this symbol! 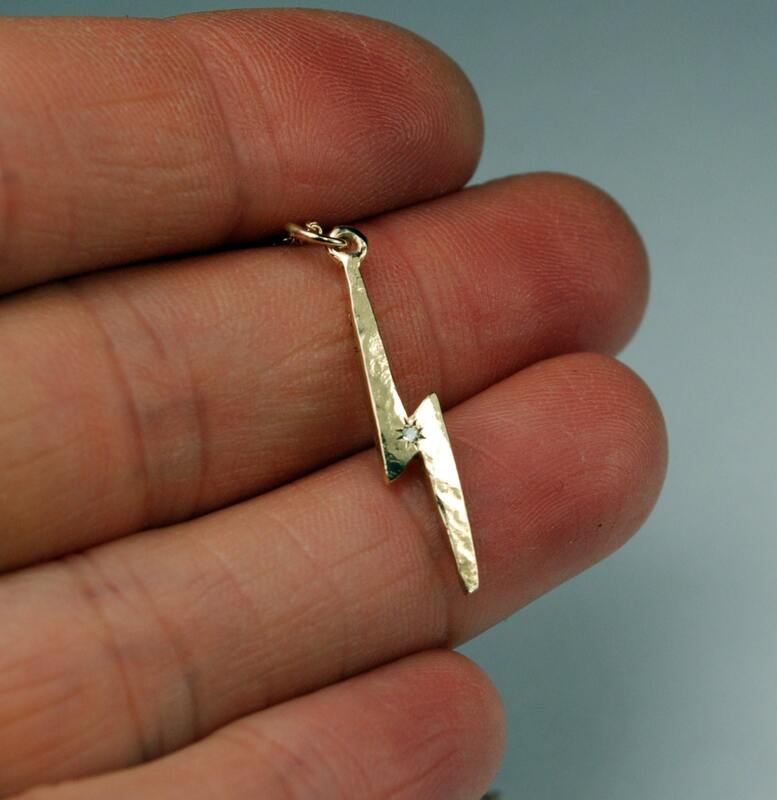 Diamonds are sometimes associated with lightning. 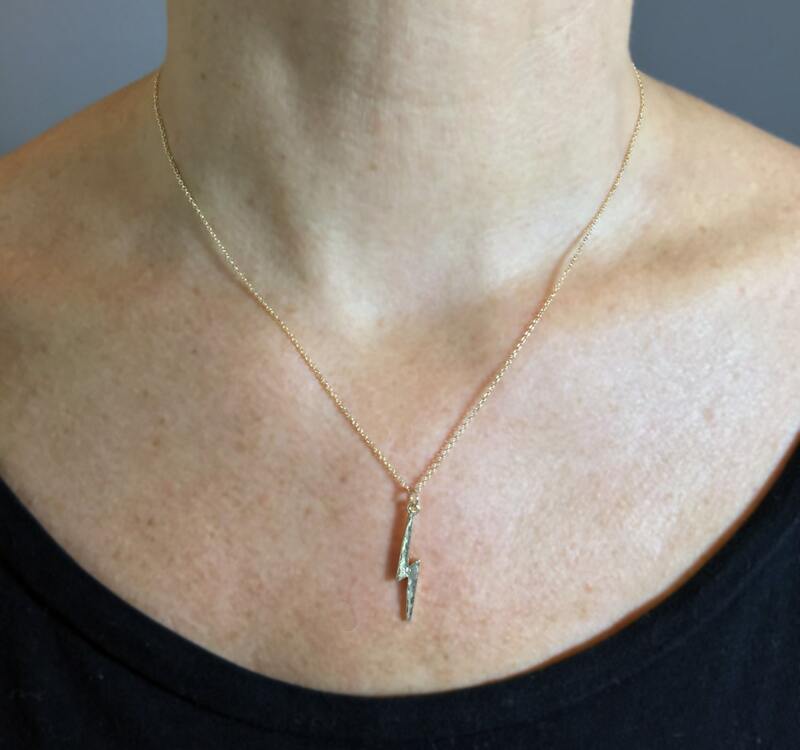 As amplifiers of strength and intent they are thought to help the wearer to focus on goals in addition to being the "stone of invincibility" thus believed by some to have powerful protective properties. It is also a stone which represents beauty, purity, fidelity and trust. Please contact me if you would like this cast in a different color or karat of gold.